What other location in France (indeed, Europe, and maybe even the world) embodies these words as much as the Château de Versailles? 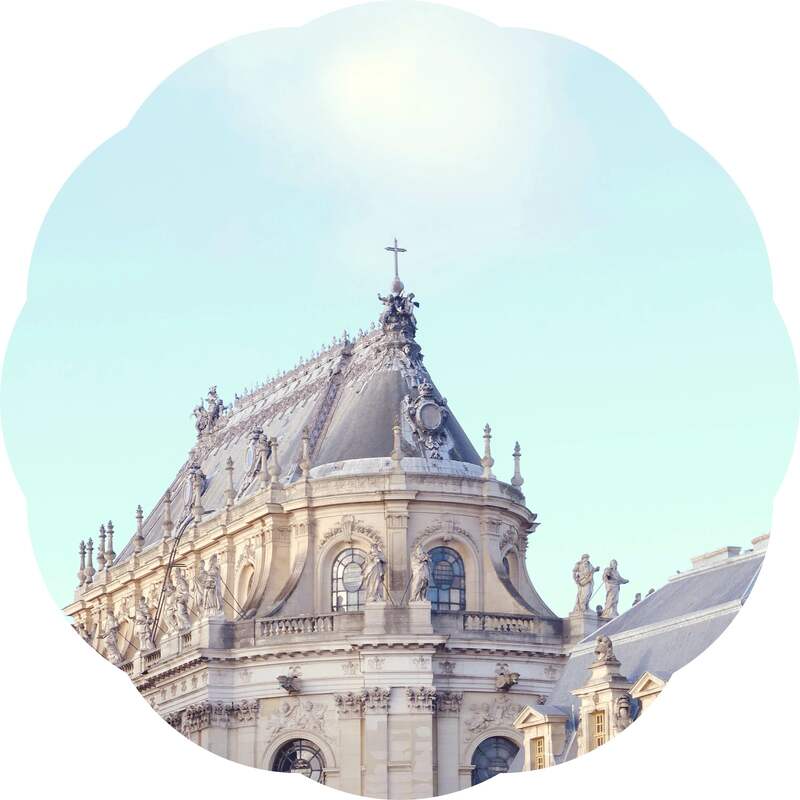 Home to the French royals from the reigns of Louis XIII to the ill-fated Louis XVI, Versailles came to be the resplendent palace we think of it as under Louis XIV, known lover of art, ladies, debauchery, and all things pleasurable- and expensive. 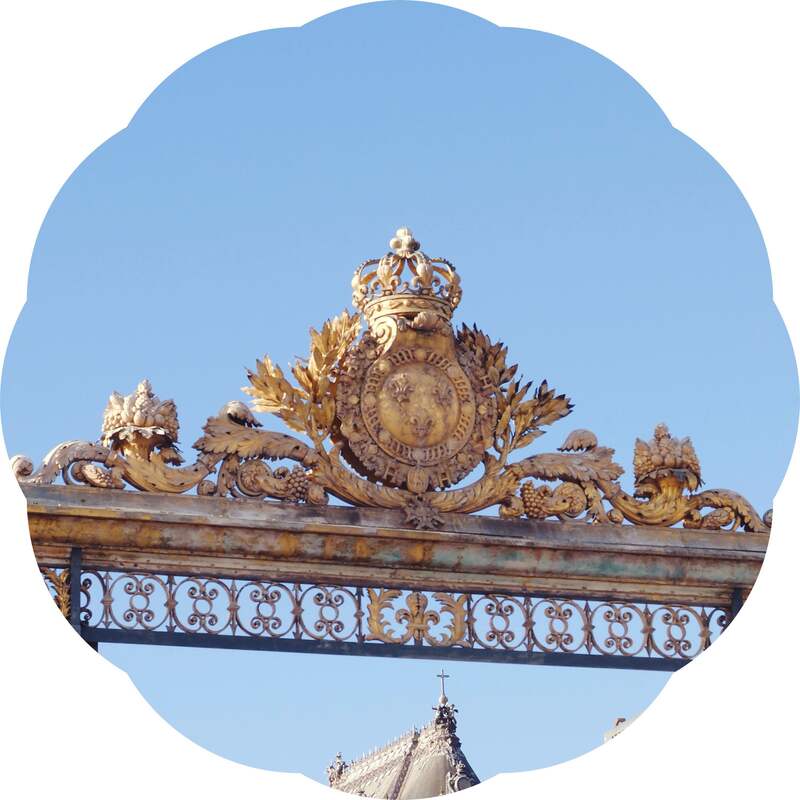 Wander up the leafy streets of the Paris suburb of Versailles from the train station, and you will be struck by the palace’s gilt-gated facade. The scale of the château is boggling, and just standing in the courtyard will give you an idea of how much glamour, decoration, luxury, and gold drips from every wing, every corner and every tiny detail. The castle interior is intricately decorated with sumptuous furnishings, artworks, fabrics, mirrors and, unsurprisingly, a lot more gold. 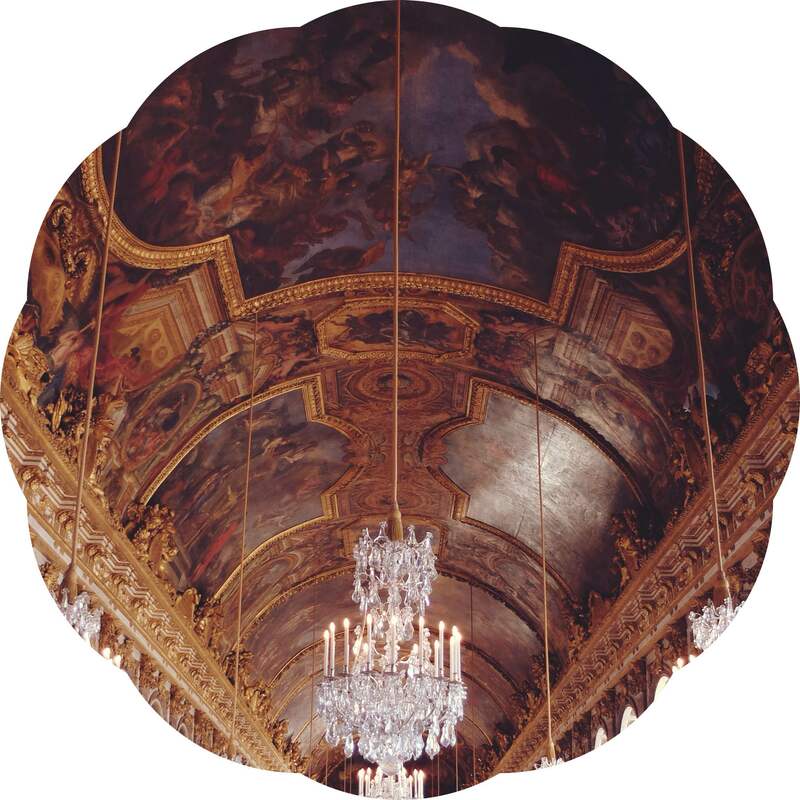 The famed hall of mirrors is exquisite, though as I’ve written about before, I’m a fan of historical living quarters, so my favourite room in the castle is the queen’s gold-and-baby-blue bed chamber, replete with a secret door to her velvet-panelled boudoir. Beyond the palace itself lie the seemingly-endless grounds. If the weather is fine, meander along the many paths and admire the manicured hedges, ponds peppered with sculptures, rose gardens, wooded areas, and monumental, domed Grand Trianon. Stop for a drink at one of the salons de thé set in the grassier areas of the grounds, and maybe even find a field of sheep or two. 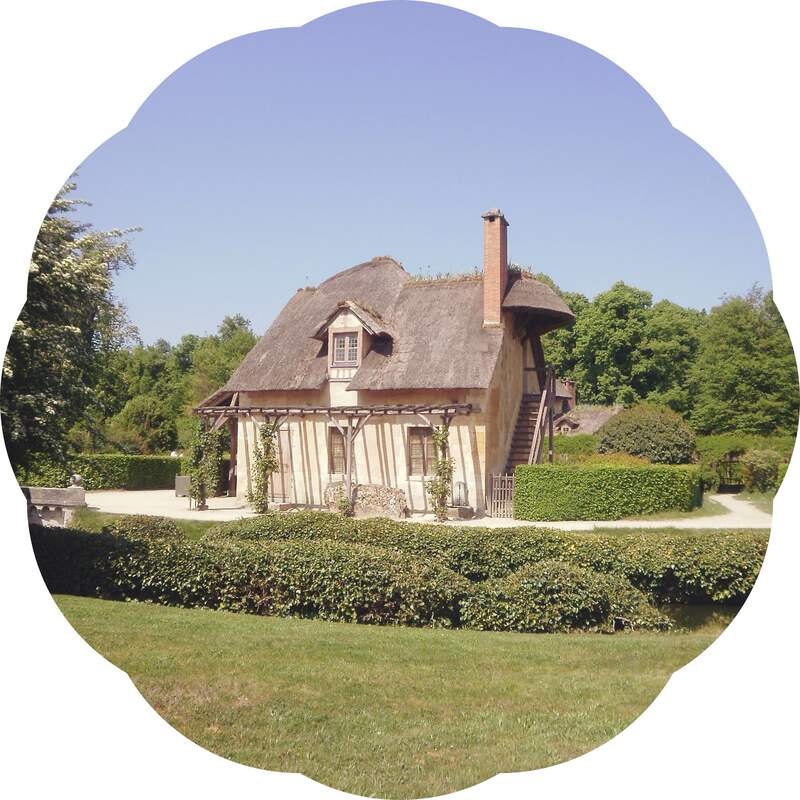 Further afield, you will come upon Marie Antoinette’s little village, a mock-pastoral collection of cottages built for the queen herself, where she would retreat with a select number of friends and servants to experience a “simpler” life. I love the atmosphere of the Queen’s Hamlet, and I can see what she found charming about such a place, so far from the glitz of the castle. And yet there is something disturbingly patronising about the village. Versailles is inarguably gorgeous, a feat of architecture and a hub for 18th-century art and culture. 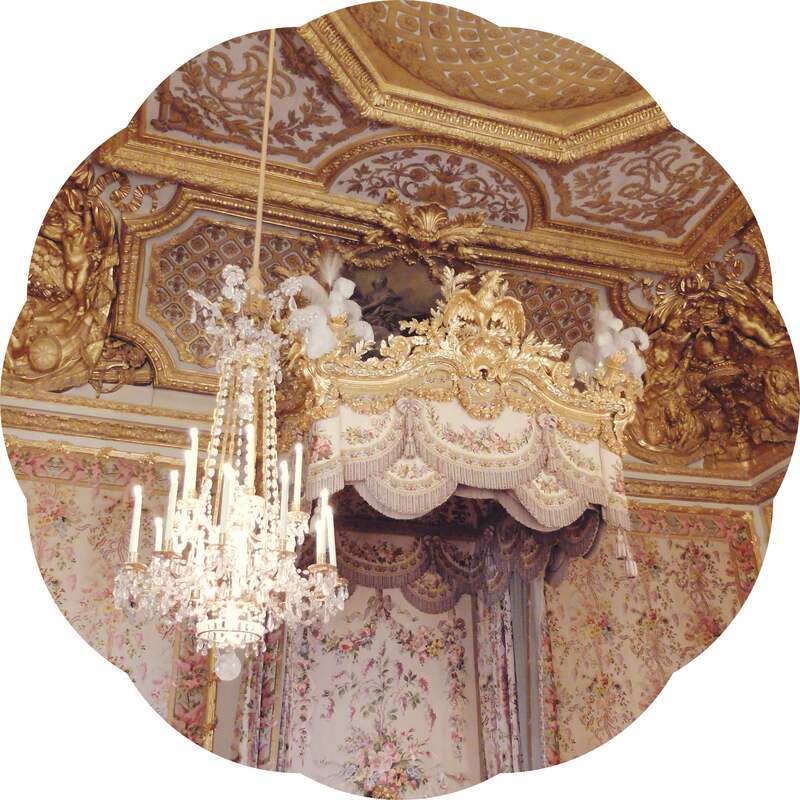 During its golden years, the court hosted many artists, like playwright Molière and Rococo painter Fragonard. The royals and their designers were responsible for major advances in fashion, and brought a decadent playfulness to the art of French dress. Perhaps above all, Versailles was a place of wealthy people and expensive things, and the result was inevitably beautiful and impressive. Yet there was a dark side to Versailles, if an invisible one. Louis XIV’s and (later) Marie Antoinette’s decadent, debaucherous lifestyles ran France’s economy into the ground, and the unworldly Louis XVI could do nothing to save it. As royals and aristocrats feasted, the French public starved. As the Crown spent wild sums on maintaining its wasteful ways, the French working class were taxed far beyond their means. As the King funded the American Revolution, a grassroots movement on French soil planned its own. Inevitably, unceremoniously, spectacularly, Versailles crumbled at the hands of the Revolutionaries. Members of the Court either fled in fear, or lost their heads at the guillotine. Versailles was doomed from the start, for it was built on an untenable system of extravagant inequality. And that’s why I feel so apprehensive not just about Marie Antoinette’s village. It was crushingly, painfully, woefully hard to be a peasant in 18th-century France. Playing at being one for fun sums up everything naive and unjust about what Versailles represented. Versailles was a glittering monolith of pleasure and indulgence that ignored, and fuelled, a well of national suffering. Even Napoleon thought it would be a bit gauche to take up residence there, once he became France’s self-proclaimed Emperor, and that’s saying something. However, the château’s current role breathes new life into its beauty, for these days it is a museum. And what are museums but a slice of culture and history made available to one and all? I think the Revolutionaries would approve. And I hope, deep down in her heart, that sheltered, silly, but fundamentally not-unkind queen would, too. Thank you, ma belle! It’s a special place. You’re so lucky to have visited when you were little! I would love to experience the magic at a young age.